To celebrate the launch of Popupla travel kits on , we asked co-founder Alexi Mintz for a travel story. Lucky her to have an adventurous grandma who picks destinations like Sayulita, the secluded and beautiful Riviera Nayarit beach town. SAYULITA, Mexico – I have spent my life traveling around the world with my grandmother. She struck the coolest deal with her four kids: She'd pick the location and rent the house; they would cover their airfare. As her ten grandchildren got older, she continued the tradition, and I've so far been to Spain, Italy, South America, and Mexico with her. 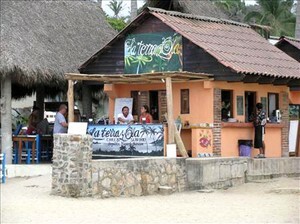 I was hesitant to join her on a 2008 trip to Sayulita because I had been hearing so much about the violence in Mexico. But she sent me a as a quiet, undiscovered surf town. And I realized that if my grandmother (my grandmother!) considered it safe enough for her, it was safe enough for me, my parents, and my partner, Kate. 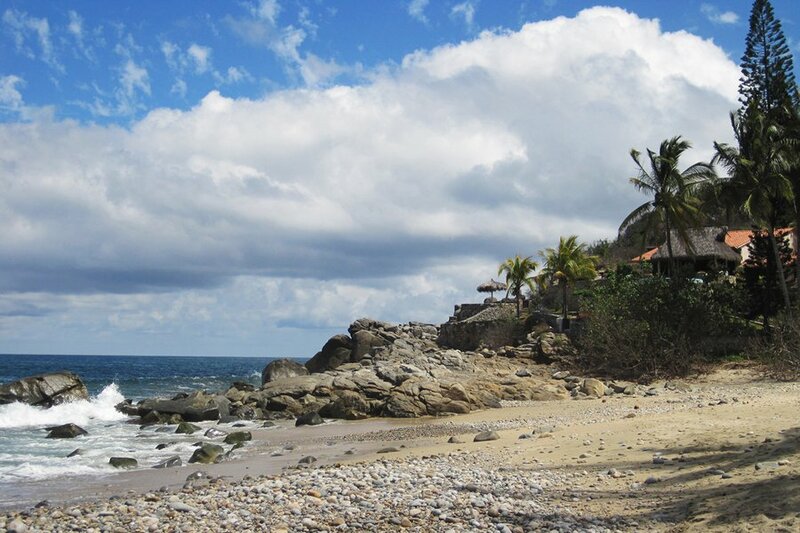 A 45-minute drive from Puerto Vallarta, Sayulita is secluded, beautiful, and authentic. The community is a mix of locals and ex-pats. Dogs lay in the streets, and you can drink tequila out of barrels on the beach. I spent my days in the best possible way. Yoga on the beach. Surfing and swimming. Sangria and dancing. Tacos and tequila for lunch at . We rented a private home, which is the way to do it in Sayulita. Grandma always rents homes when she travels because she spends a month wherever she goes, dividing her stay into one week per kid, and she wants to have enough room to cook for and accommodate all of us. Yes, she's awesome. When we rented a four-wheeler from the local surf shop, we did it without any paperwork and without exchanging any money, just with the promise to pay when we returned. This is but one more exchange that made me fall in love with the place. 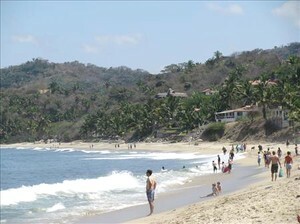 I don't often go back to the same place twice, but I'm heading back to Sayulita this Christmas. I can't wait, and I hope to find it totally unchanged. Inset photos courtesy of Alexi Mintz. Alexi is the co-founder of , an online boutique for TSA-friendly beauty, grooming, and wellness products. She travels for the adventure and experience.